Havana (Cuba) -- Buildings, structures, etc. A building with modern architecture in Havana. 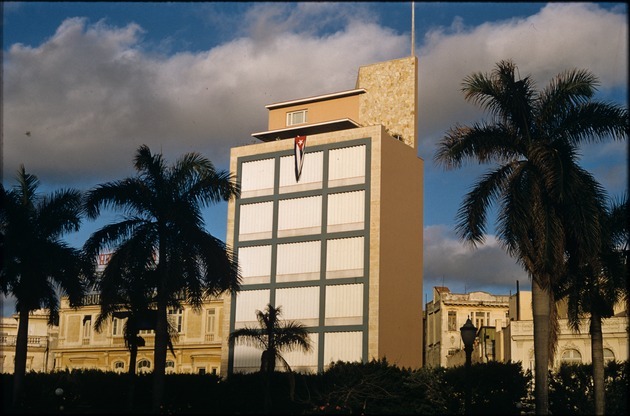 There is a Cuban flag hanging from the top of the building and several people on the rooftop balcony. Also, the front of the building is surrounded with bushes, and there are a few palm trees throughout.